the book is good. 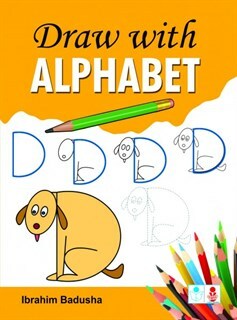 Easy for kids to learn the alphabets. It is easy to draw on the figures given. any other books for kids from the author and publication is available? Want more such books for my kids. at just 30/- the book is very low priced. Lot of such books are required for kids with more pages. Thanks to the portal. the portal has one stop shop for all kinds of books. It has lot of variety and lot of books from various publications. Thanks to the portal. the book has pictures which my kids love. They want to keep writing in this book alsone all the time. the book has very few pictures. There should be more pictures to attract kids. It is simple and has few pages. simple book with simple pictures. The book is neat and can be easily bought. The delivery was also very quick.